Chris Isaak in Montreal or Quebec City? Inform me about the next events for Chris Isaak. Enroll yourself to our priority waiting list for Chris Isaak to be alerted when new tickets are available. Filling this form doesn't engage you to any purchase. Chris Isaak will be performing at the St-Denis Theater, in Montreal, on October 30th, 2012. 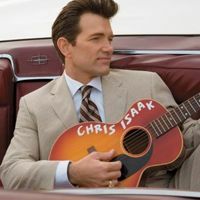 Well known for his hit Wicked Games in the late '80s, Chris Isaak released many records over the years, including the latest, Beyond the Sun, which features covers from artists such as Elvis Presley, Carl Perkins and Johnny Cash. Don't miss this wonderful evening of rockabilly songs with Chris Isaak in October!